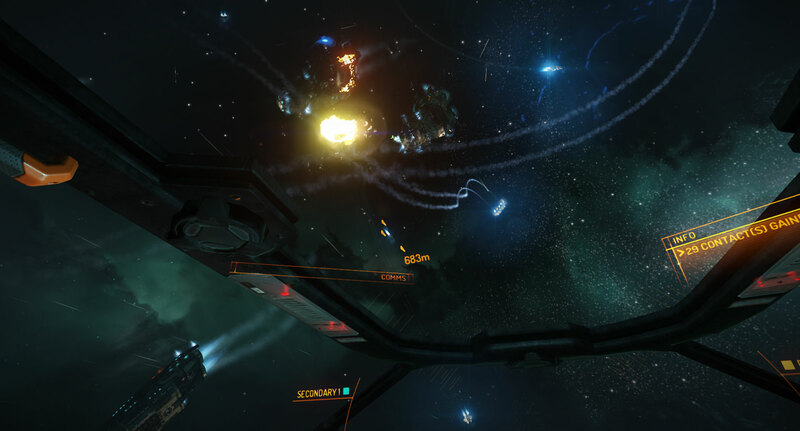 After what seems like aeons of waiting, the open-ended space sim has returned to engage a new generation of gamers in exploring and exploding across the galaxy. 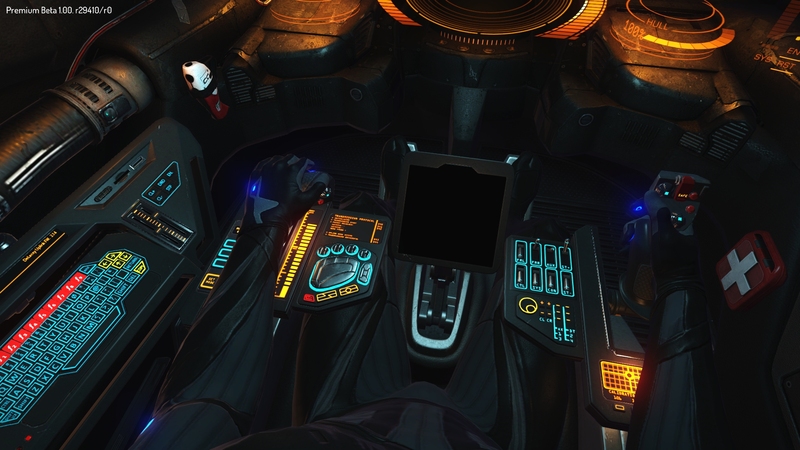 But is Elite Dangerous the epic return we were hoping for? Read on. 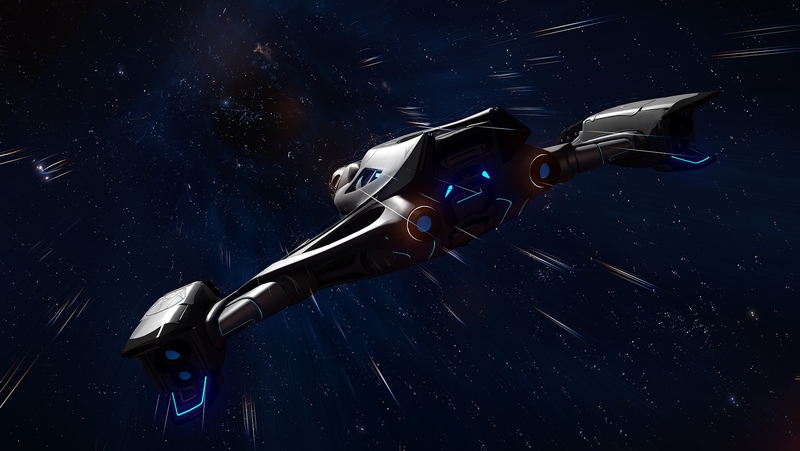 Just as the movies have always told us: Asteroid fields are a great way to elude a pursuer. When it comes to talking about the story of Elite Dangerous one really has to talk about “stories” plural. 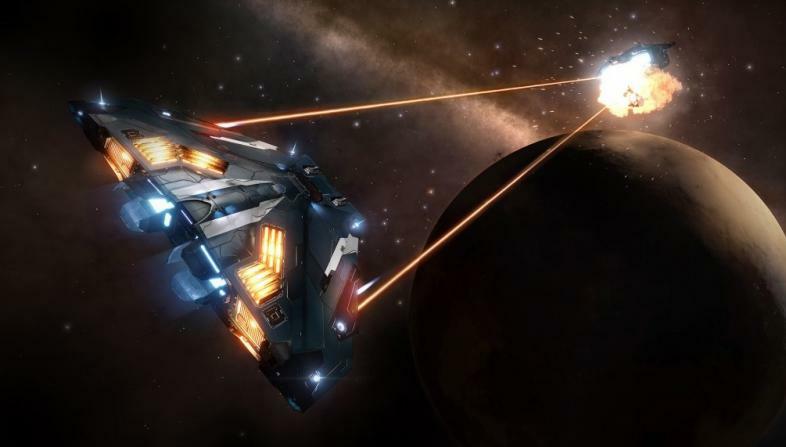 Yes, there is an over-arching story concerning the rivalries both between, and within, the various factions, but the impact of the story upon the players of Elite Dangerous is minimal. 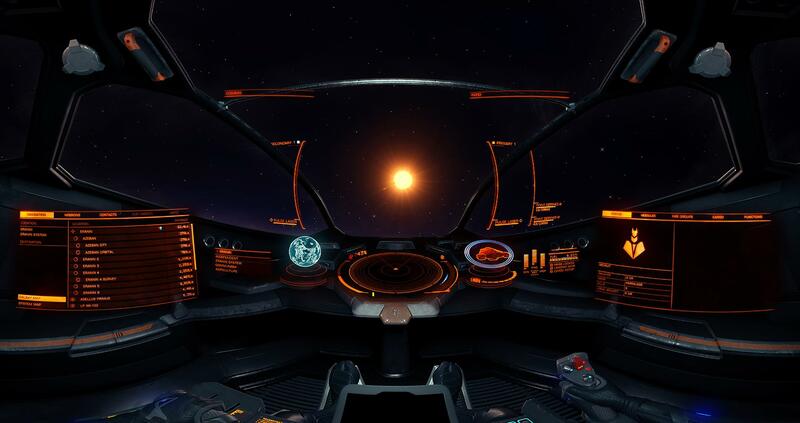 There is no main storyline in Elite Dangerous that the player can follow by completing a certain sequence of missions. Instead, the player starts life in the galaxy docked at a semi-randomly chosen space station. What she chooses to do from that point on is what will define her story within the game. One day, planets too will be explorable. 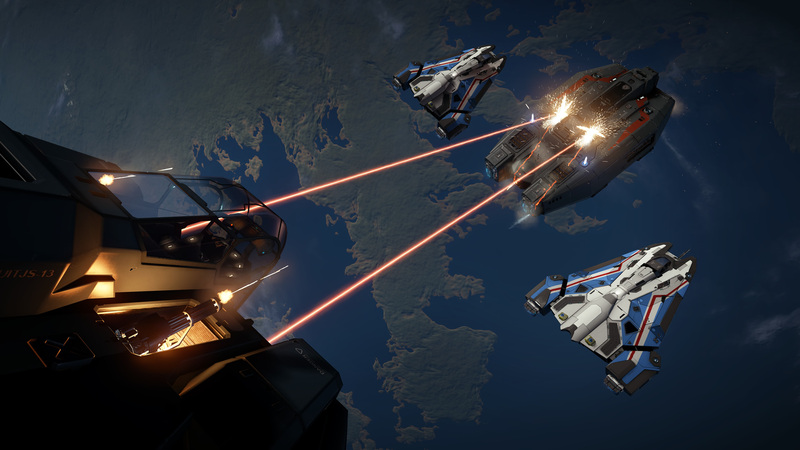 When large-scale battles break out in Elite Dangerous, they look absolutely fantastic.